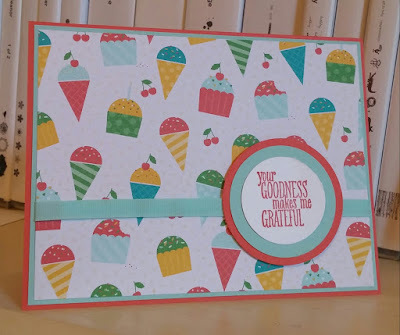 I love how she made her own DSP kind of with the dots from this stamp set! 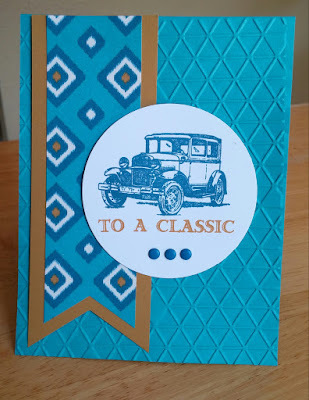 This is the first card for my July card class next week! I tried to place a sentiment but like it without one. 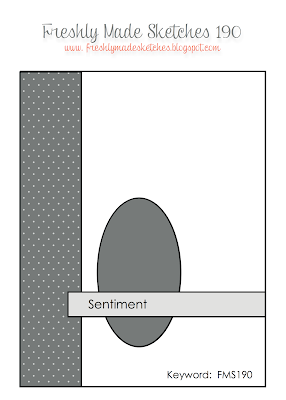 Plenty of space inside for a sentiment. 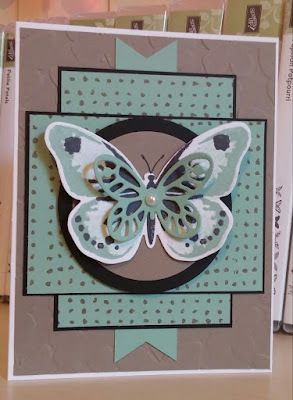 I stamped off with Mint Macaron for base of butterfly and then full on with Mint for second layer. Topped the details with Memento Tuxedo Black. Love the new products coordinating like the Fluttering emboss folder and dies that match this Watercolor Wings stamp set! I decided to cut the circle in the side of the top layer for a different look and stamp the flower on the Very Vanilla base. I choose this set because I missed playing with this bird... not hand snipping (which I will be doing loads of soon for a 48 card swap with a dragonfly from another set)! 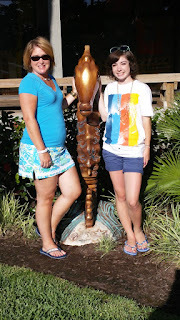 I hope you enjoy your Monday and join the sketch challenge over at The Paper Players. 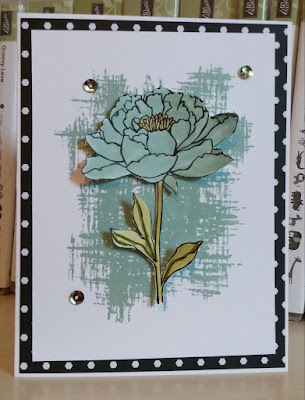 Another quick card with the Definitely Dahlia stamp! This time in Watermelon Wonder! I added a little lace to the bottom and sequins for bling and done! 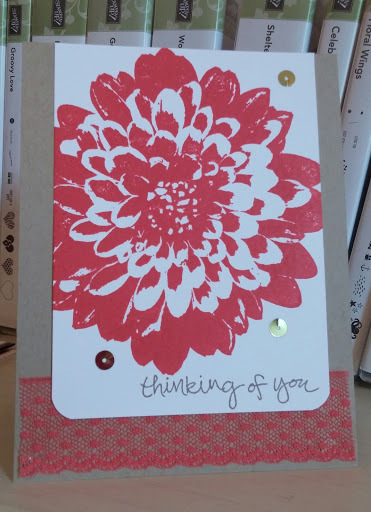 First quick card with Definitely Dahlia background stamp. 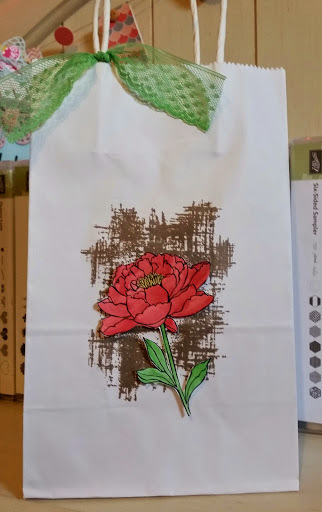 My Perfect Plum came off light and I re inked my stamp pad but I liked the light look so went with the first stamp. 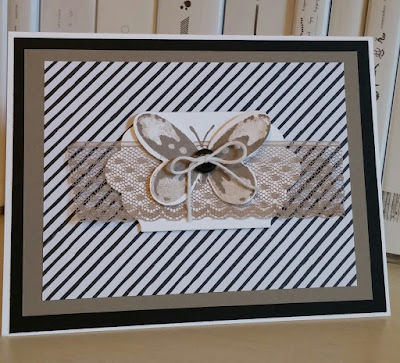 I added some Tip Top Taupe (which I think looks good with everything) and a quick punch with the Bitty Butterfly punch and done! Hope your weekend is wonderful and thanks for stopping by! FMS 192 Happy Colorful Birthday! Fun sketch this week! I grabbed a set I have not used in a while. Missed you Eddy the Octopus! My daughter was helping me pick what to use on the card and she choose this set. I then looked around at DSP and thought the "bubbles" were cool! Thanks for stopping by and head over to FMS to play along! 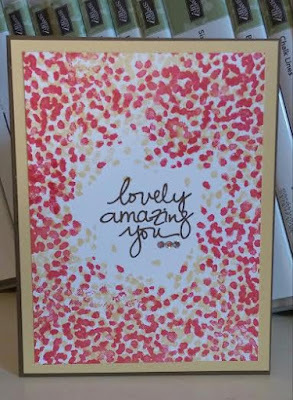 This card makes me smile! 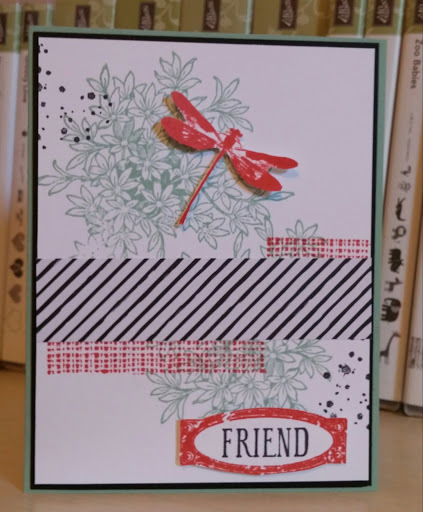 I love the new DSP called English Garden and this stamp set called Floral Wings. I love the colors together and butterflies and.....I could go on! I am probably mostly smiling because I know my mom will when she gets this card this week! She had open heart surgery just a few weeks ago and is still got loads of healing to do. Please along with this fun sketch at Pals Paper Arts this week and make/give a few smiles, too! 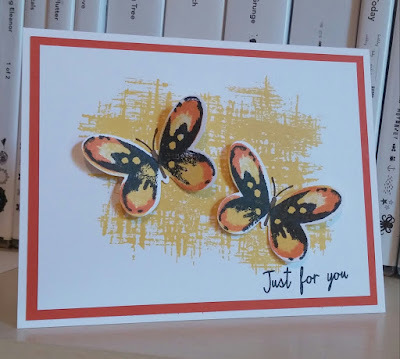 Trying some different color combos on the butterflies in the Watercolor Wings stamp set. Nothing fancy here but saw another card on Pinterest that used the background from You've Got This stamp set with a butterfly. I decided on a simple layout and focus to be on the two butterflies. A little casing from Julie Davison at juliedavison.com. 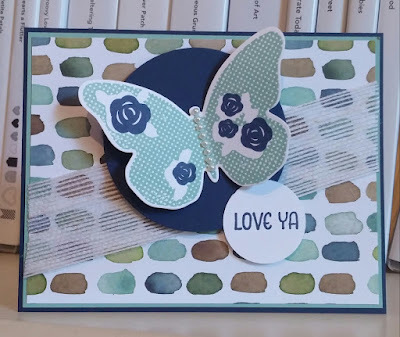 I did not add a sentiment because I thought could use as a thank you or hello or get well, etc... Love the layers with stamping and die cutting for these butterflies! Going with just a basic sketch to let the DSP work for me with this clean and simple treat sketch at The Paper Players this week! I like this sentiment because ALL those treats are goooooodness! 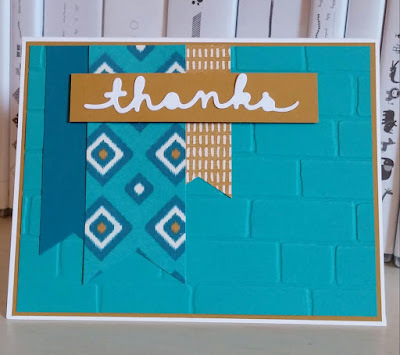 I also need more thank you's in my card stash! Sorry I have been away a lot this week...got in a beach vacation on Sanibel Island! 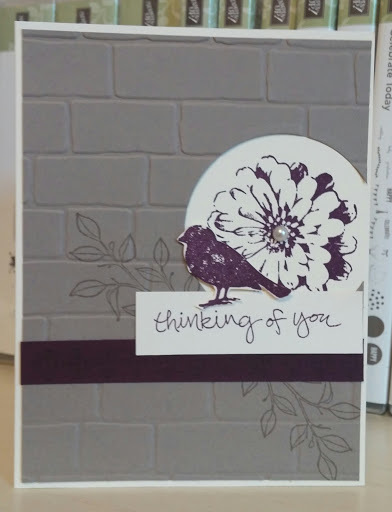 Sometimes we have have so many awesome paper products that we have no room for stamps! Well, no really true, the more stamps the better! But I did not use any on this cute card! 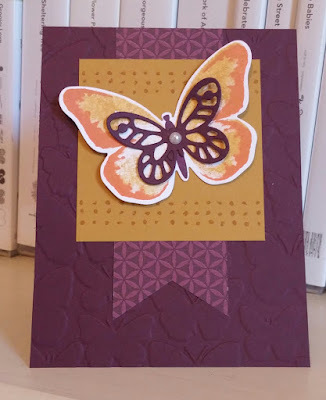 Some new paper and dies and emboss folder, oh my! Hope you have a wonderful Thursday and join the Pals sketch challenge today! I do like neutrals so of course I love this Go Wild DSP paper stack and the color combo (Tip Top Taupe, Basic Black, and Whisper White)! I thought this could be a great card to use for any occasion so no sentiment. 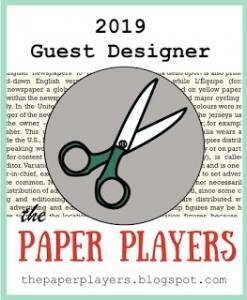 I really think I am going to get along with the new Lots of Labels dies, too! 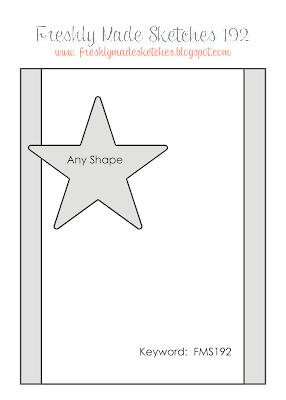 I have had this envisioned in my head to make but just got the push with a bling challenge (adding bling to a project). Not much here but just a little is good so the flower stays at center stage. The flower is surprisingly easy to snip out. Go ahead and try it! I love the this new set called Watercolor Wings. 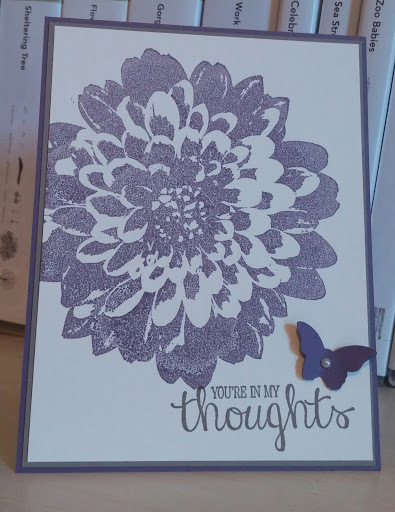 This was my first card but I want to stamp so much more. 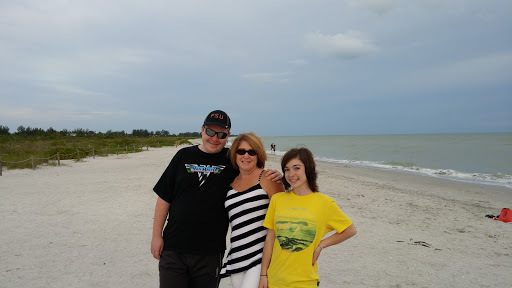 It will have to wait until I get back from my beach vacay! 6"x6" paper stacks including this one called Go Wild. 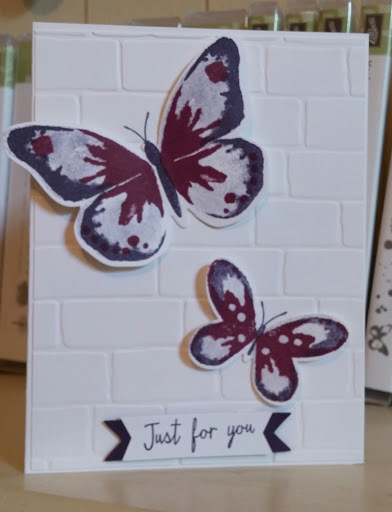 Simple stripes against the new Brick Wall embossing folder. Love the new stamp called From Land To Sea. I really like the jellyfish as I mentioned this week but my mom loves light houses and this is for her. Last the new thinlits dies called Greetings. 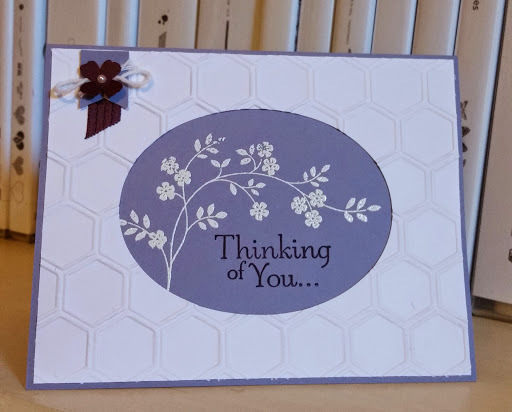 So simple and easy to cut a sentiment and I really love the size and font for them, too! 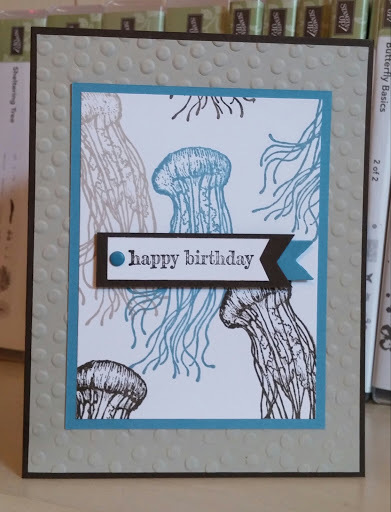 I LOVE THE JELLYFISH in this set! 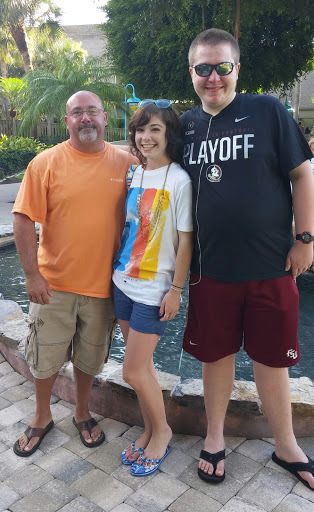 Some are saying creepy but I do not see it! Love sea creatures in general! This will be a great new stamp set to play with. I hope you can join the Pals color challenge this week and thanks for stopping by! Really love this flower....You can earn it will host rewards from SU! 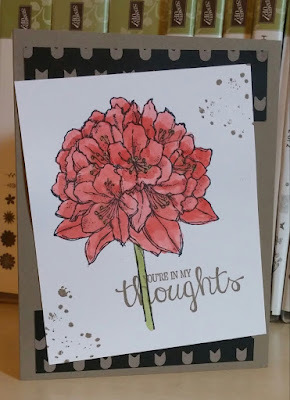 It is called Best Thoughts and ideal for watercoloring. I hope you have an exciting week and thanks for stopping by! I designed this card in Mint Macaron for my class earlier this week but when I saw one of my class members stamp instead with Watermelon Wonder, I had to make one! This is my favorite stamp set in the new 2015-2016 Stampin' Up! Annual catalog! I like these colors together, too! Love the new paper stack called Go Wild..loads of Basic Black, Tip Top Taupe and Whisper White together. I used a striped piece from the pack on this design. 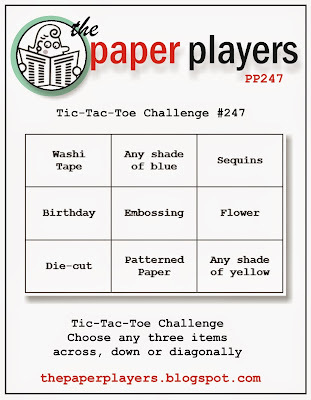 Quick and easy card for the Paper Players Tic-Tac-Toe challenge this week! I went straight down the middle with blue, embossing, and pattern paper. I used the new Bohemian DSP and my new Banner Triple punch. Dies, embossing folders and punches make life so much easier and cards so awesome! Come play along with the color challenge this week over at Palspaperarts.com The color Strawberry Slush is retired now but if you still have some paper or ink, you can use it up here or substitute another pink shade like Melon Mambo or the new in color Watermelon Wonder! I stamped my "leaves" from the Sheltering Tree stamp set in Strawberry Slush and again in So Saffron to make my border around the sentiment from Lovely Amazing You. 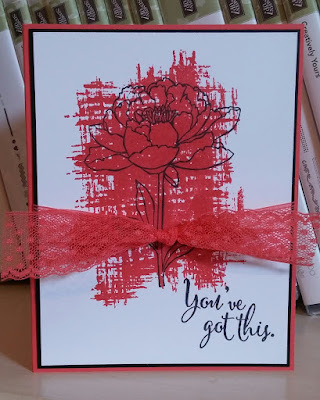 Very quick and easy card! Hope you have a lovely Thursday and thanks for stopping by! I decorated a gift bag for my class members to carry their cards home from card class this week with the new set called You've Got This and did some watercoloring after loads of paper snipping. These are actually easy to snip out. I tied a little of the new 1" dotted lace ribbon in the new in color Cucumber Crush to handle. 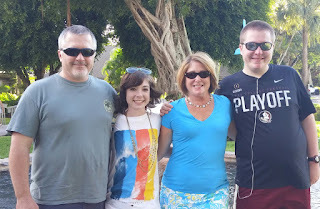 Hope you have a fab day and thanks ks for stopping by! 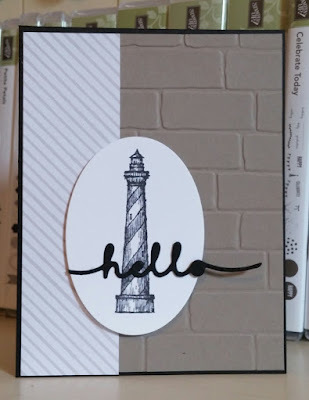 I did a little casing from the new 2015-2016 Stampin' Up! Annual Catalog for today's last card for class this week. I love the new Brick emboss folder they show on page 26 and can't wait to order it but for now I used my fav Honeycomb emboss folder. I have not used this stamp set in a long time. 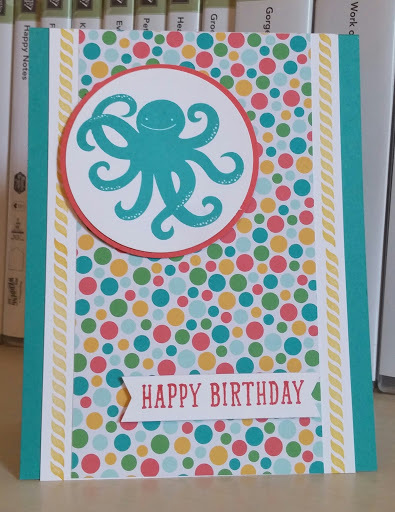 Like how this card turned out. Always love the heat emboss and I picked my favorite color, purple! Really love the white on purple look, too! The original card used the new Mint Macaron in color and is very soft and pretty!